Yoga as lifestyle is the basic idea gained in 200 hour program. But the journey is not end with that, instead it started with the realization of what is past and now. Hence there is still for further steps to attain that supreme knowledge. Here the 300 hour Yoga Teacher Training Course (TTC) will help the student in all directions of existence. As well mentioned in taittiriya Upanishad that, human existence is beyond what is seen and felt. Advance Yoga Asana, teaches how to utilize the body as a tool for life. Advance Yoga breathing techniques (Pranayama), teaches how to live with slow and long breath and control over autonomic parts of the body. Advance Yoga Relaxation techniques are the base to experience the openness in daily routines. Advance Yoga Kriya makes the body more flexible and yet strong for the daily challenges. Yoga teaching techniques make the Yoga students to teach the techniques in a better way. Correction and adjustment techniques of Yoga Practices are just for the beginning level of training but later on everything is "Core muscles activation" with comfortable breath (Prana) to activate the energy wheels (Chakras) and reach that higher silence (Bliss) in300 hour Yoga TTC. Applied Anatomy and Physiology of yoga practices, will take the student from basic level of understanding to higher level of understanding the reality and the physical world. With this knowledge the student can improve the strength to withstand many physical, mental, social and environmental challenges during 300 hour Yoga TTC itself. 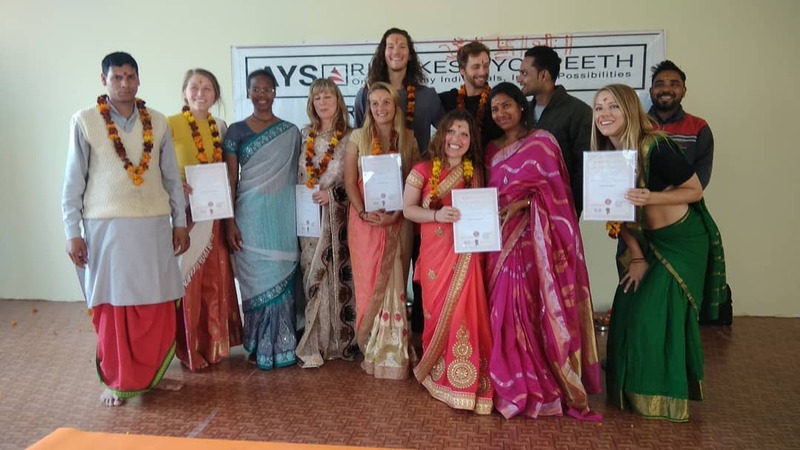 Hence the student becomes much spiritual than before which fulfills the main aim of this 300 hour yoga teacher training course at Rishikesh Yog Sansthan, Rishikesh. This will serve the goal of Spiritual health as per World Health Organization (WHO). Yoga therapy will increase the list of benefits through this 300 hour TTC at Rishikesh Yog Sansthan, Rishikesh. Knowing the basic composition of mind and body composition and applying it to understand the Unity in Diversity is the core essence of 300 hours Yoga TTC at Rishikesh Yog Sansthan, Rishikesh, India. Shared accommodation for 6 weeks.